A Queensland student has won the Royal Academy of Dance (RAD) Australian Advanced 1 Bursary Final held in Canberra in November. 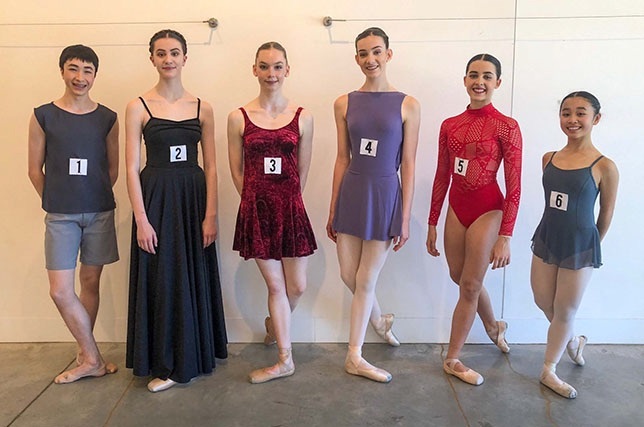 Emilia Bignami, trained by Rosanna Castellana at Promenade Dance Studio, impressed guest adjudicators Olivia Bell and James Taylor beating 5 other finalists from across Australia. Recognising the huge importance of nurturing and providing opportunities for creativity in young dancers, the RAD’s Australian Advanced 1 Bursary provides an award (up to the value of $7,000) for further training in the RAD method. Learn more about the RAD’s bursary and prizes here. Echoing the ‘Dancers’ Own element of the Genée International Ballet Competition, the RAD’s flagship competition, the bursary allows candidates to perform their own choreography, or that of a teacher or peer. Candidates also perform a classical variation giving the opportunity to show technique and artistry as well as performance and creativity. Next Post Meet the Talented Jets & Sharks!